Generally speaking, there are two types of online casino players- those that bet small amounts and play from time to time and casino fans that play regularly, climb up the VIP ladder and deposit bigger amounts. 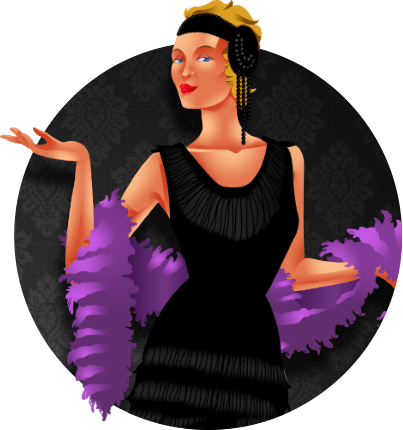 There are many online casinos that are offering VIP programs for the second type of elite- class players. These casinos tailor exclusive VIP programs to suit the needs of the sophisticated individual, because a VIP expects and deserves the absolute finest red- carpet gaming experience. After all, playing at the top of the class comes with extra excitement and anticipation and many exclusive and customized treats. 3 levels of VIP - Member, Gold & Platinum. Benfits include incresed deposit limits, personal account manager, VIP bonus offers, super fast cash-outs etc. Receive higher comp point conversion rate. And win prizes monthly ranging from hi-tech gadgets to luxury holidays. Five VIP Levels - Bronze, Silver, Gold, Platinum & Diamond. $10,000 per week withdrawal limit for Diamond VIPs. Gold to Diamond VIP's have a personal account manager, free spins each week, higher deposit limits & can redeem Loyalty Points to cash. Four Levels of VIP - Bronze, Silver, Gold & Platinum. Only Platinum members eligble for a decicated VIP Account Manager. All VIP's get better the Comp Point exchange rate, faster withdrawals, higher table limits, special promos & bonuses etc. A 6-tiered progam called "The VIP Rewards Plan", is more of a Loyalty Program than a VIP program that is very similar to a Vegas-style rewards program. Earn Rewards Points for every wager placed that can later be redemed for cash & great prizes. Automatic entry to their monthly sweepstakes as well. Winner's VIP is a 6 tier club. Silver to Black members receive a Personal Account Manager. One (1) business day withdrawals for Platinum & Black members..
All VIPs get a special Welcome Gift, higher deposit limits, faster withdrawals and invites to special tournaments & events. A superb 6 tier VIP Club for US players. 10 Monthly Reloads worth up to $11,000 FREE! 25% Cashback on all busted deposits that do not receive an upfront bonus, and up to 25% Monthly Cashback on NET losses. A USA friendly 4-tired VIP program - Sapphire, Ruby, Emerald & Black Diamond. 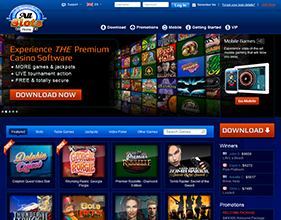 100% up to $1,000 monthly Reload Bonuses for slots. From the Ruby level you receive 5% up to 15% Cashback resulting from your losses from the previous month. A VIP Program is a system or program tailored by many online casinos to reward elite players with various bonuses and promotions as well as many other benefits. Players at some online casinos are automatically signed up for a casino’s VIP also called loyalty program that awards them with comp points as they bet and play casino games and after the accumulate enough points they can redeem them for real money. On the other hand, players at other online casinos climb up a VIP ladder that consists of a couple of VIP levels and they enjoy many treats along the way. 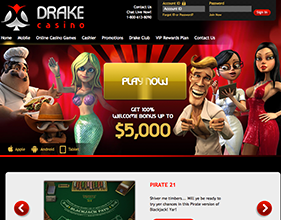 There are also third type of online casinos where VIPs can join a VIP Club by invitation only. These VIPs usually deposit and play big and they are spotted by the casino which sends them an invitation. What Benefits Do Members of a VIP Club Receive? -	Special bonuses and promotions. 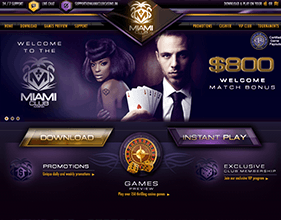 There are many VIP bonuses and promotional offers designed to boost a VIP’s bankroll. 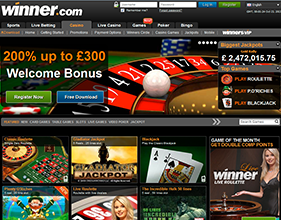 They range from match/deposit bonuses to exclusive cash back bonuses and weekly or monthly promotions. -	Tickets to special events. Fancy visiting an Opera show or a sports event? As a VIP, such treats are up for grabs. -	Luxury holidays. How about a trip to Hawaii? Some online casinos may offer to pay you a trip to exotic destinations. -	Luxury gifts. These gifts usually include customized birthday gifts like hi-tech gadgets and accessories. -	Personal account manager. Some casinos offer VIPs their own personal account manager to take care of their money. -	Faster withdrawal process times. As a VIP you don’t have to wait a couple of business days so you can cash out your winnings because withdrawals are processed fast. -	Higher deposit limits. Being a VIP means that you can deposit as much as you wish because the deposit limit is considerably higher. -	All Slots Casino. The VIP program at All Slots Casino is comprised of five Loyalty Club statuses: Bronze, Silver, Gold, Platinum and Diamond. A player’s loyalty is well- rewarded with exclusive promotional events and gifts, personal account manager, free spins each week, higher deposit and withdrawal limits, redeem loyalty points to cash for Platinum and Diamond and customized vacation packages. Additionally, there are a couple of VIP promotions such as On The Double according to which your next two deposits will be matched by 100% up to 100 credits each and many more. 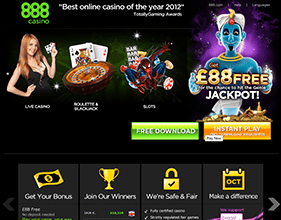 -	888 Casino. At this casino you will get 5-star VIP casino treatment and your status comes with tickets to sports events, shows and concerts, many prizes like hi-tech gadgets and designer goods, extra VIP bonuses and promotions like Win a Share of $1,200 Every Day or Win Halloween treats in October and so on. In addition, you can check out the goods at their VIP Loyalty Superstore and redeem your comp points for great rewards. 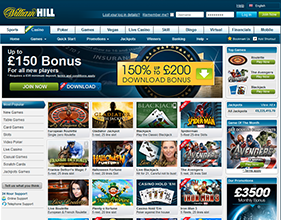 -	William Hill Casino. Being a VIP at William Hill Casino will get you better comp point exchange rate depending on your VIP Club status level. There are four VIP statues: Bronze, Silver, Gold and Platinum Club. Additionally, there are improved bonuses and special exclusive VIP promotions, higher table limits, faster withdrawal process times, private tournaments, opportunities to earn flight tickets and gadgets, invitations to VIP sports events and so on. -	Drake Casino. This online casino welcomes US players, especially VIPs by allowing them to sign up and activate their VIP Rewards Plan account. With every bet players earn points and after gathering enough points, they can exchange them for casino bonus, merchandise or buy tickets for daily, weekly and monthly sweepstake drawings where players can win a wide variety of casino bonus and prizes. The rewards levels are Amber (starting level), Bronze, Silver, Gold, Platinum and Diamond. -	Miami Club Casino. Loyal VIPs at this casino earn comp points and climb up the Miami VIP Club levels that include Flamingo, Downtown, Bay Front, South Beach, Ocean Drive and Millionaire's Row. The benefits that come with these levels are better comp points exchange rates, exclusive coupons for 10 monthly reloads up to a specific amount, 25% cash back, loyalty tokens based on deposits and so on. 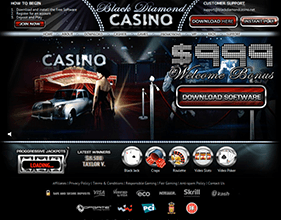 -	Black Diamond Casino. As you deposit and bet at this casino, your VIP status increases and you will be invited to join the VIP Longue. 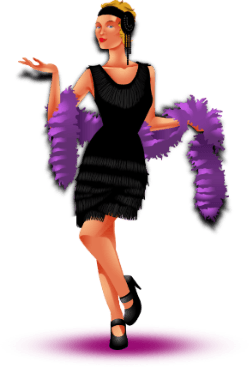 New players start in the Sapphire Lounge and move toward the Ruby Lounge, Emerald Lounge and the last Black Diamond Lounge. The benefits VIPs can enjoy include 100% slots monthly reload up to $100, $200, $500 and $1,000 and monthly cash back of 5%, 10% and 15% up to $5,000.